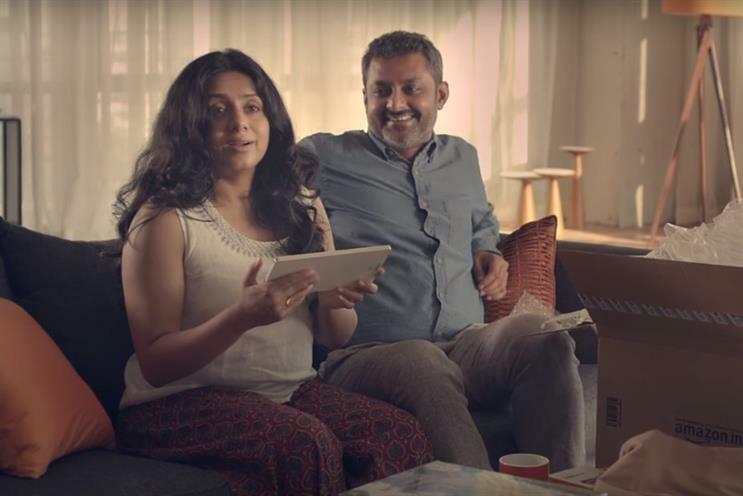 Amazon India is trying to achieve its own '#ThisGirlCan moment', taking on stereotypes about shopping and women. The brand interviewed several Indian men about their wives' shopping habits, with all describing them as on the verge of being out of control. Amazon India then handed 5000 Indian Rupees (£51) to the maligned wives to see what they would buy. All managed to surprise their husbands by buying thoughtful gifts such as new shirts, trousers and badminton racquets, so the couple could take up the sport. The ad concludes, somewhat predictably, with the husbands admitting they had been wrong.